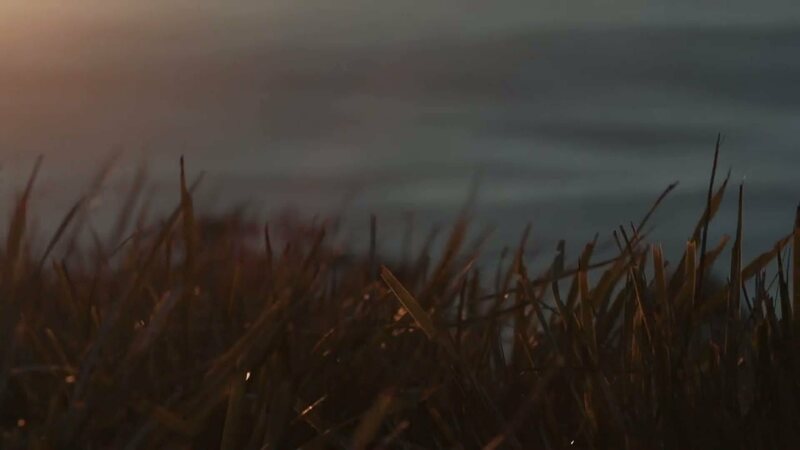 Let your feet leave the ground. With just a few short steps you will be comfortablly seated in your harness with your instructor guiding you the entire way, no experience required. All tandem students are paired one-on-one with an instructor for the ultimate sky and mountain adventure. 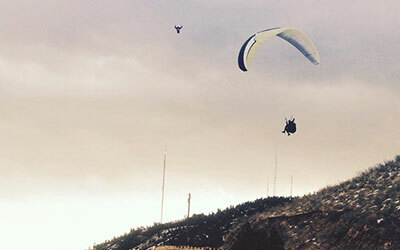 With the assistance of your paragliding instructor you will launch from the hill and soar with the birds. No experience required. Anyone 18 and over under 225 lbs can fly. Flights takeoff from the top of Lookout Mountain above Golden Colorado. 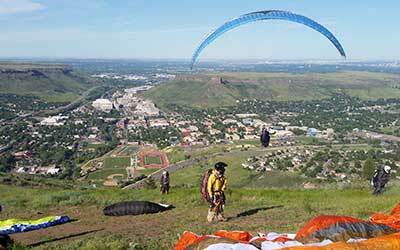 Come to Golden for the day and go paragliding in the morning, tubing or climbing in the afternoon and enjoy one of the many breweries in town afterwards for an amazing day only 20 minutes from Denver. Come see how the West lives! Our Mission.The adventure of a lifetime. 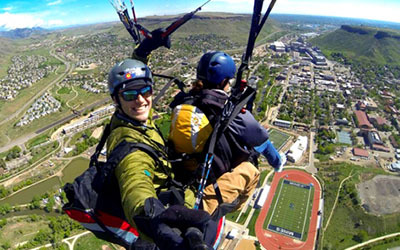 Tandem Paragliding is the best way experience the thrill of free flight in Colorado for the first time. Whether you are an aspiring pilot interested in learning to speedfly, paraglide or just want to fly like a bird, a tandem paragliding flight is the way to get in the air. This is free flight, not parasailing like you would see at the beach when on vacation. Paragliders can fly to 10,000 feet or higher while covering huge distances if the conditions are favorable. 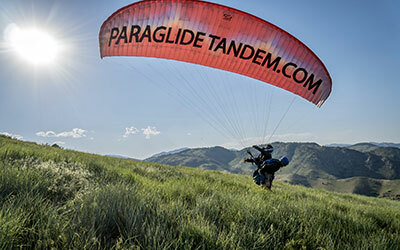 All Paraglide Tandem instructors share one thing in common, a love for the sport and teaching. The opportunity to share in the joy a student feels when their feet leave the ground keeps us coming back for more. 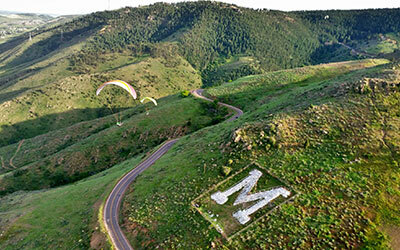 Spending the morning paragliding with us in Golden, Colorado. Where do I sign up to fly?How to make a reservation and come prepared. What is the Flight Like?The adventure of a lifetime. Aviation is more than just a hobby for Jason, it is a life long passion. He lives in Golden, Colorado at the base of the launch site. He is also an FAA Certified Flight Instructor in both single and multi-engine aircraft. 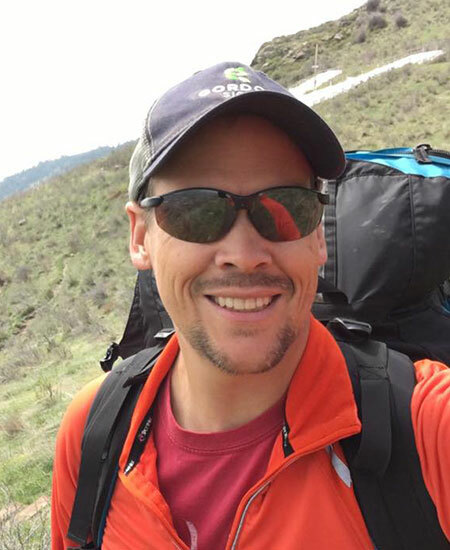 Outside of paragliding, Jason has worked in commerical aviation for his entire professional career. Darren originally learned to fly in New Zealand and has flown in Argentina, Chile, Bolivia, Peru, Australia, Indonesia, India, Nepal and throughout the American west. After traveling the world he returned to Colorado where he has been flying for the past 5 years. Darren has enjoyed the scenery and camaraderie of the pilot community here as much as anywhere in the world. 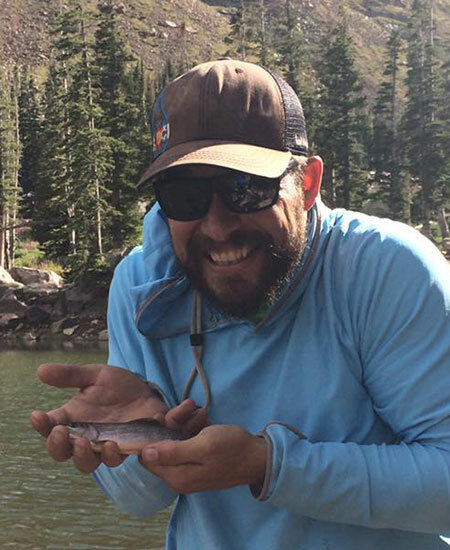 Gary has a passion for the outdoors, paragliding, ski patrolling, climbing, fishing and playing in the water . He is also specializes in manufacturing critical aerospace components and has received NASA awards. 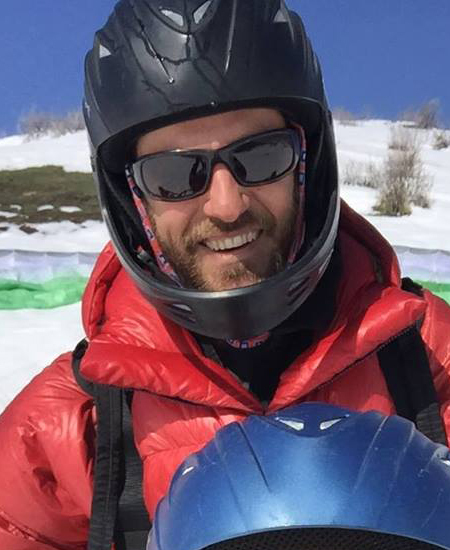 One of his favorite things about paragliding is watching people's face when he explains he's unfolding an aircraft out of his backpack to share the experience of flight. 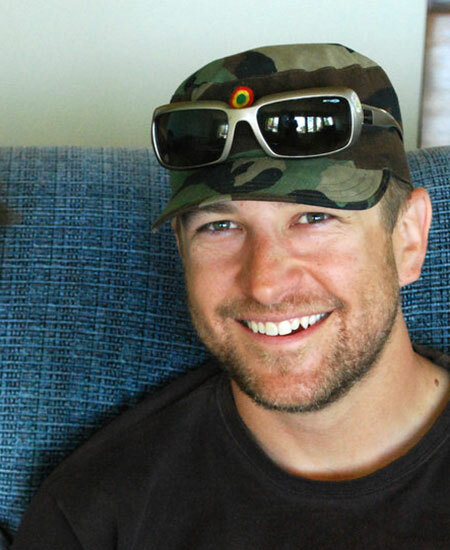 David grew up surrounded by paragliding in Aspen, Colorado. He went on his first tandem when he was five years old. He has competed internationally and flown paraglider a in several different countries. When he isn't paragliding, David works as a civil engineer. Whether it's hiking or biking with his daughter, or sharing his passion for flight flying tandem, his excitement is contagious. 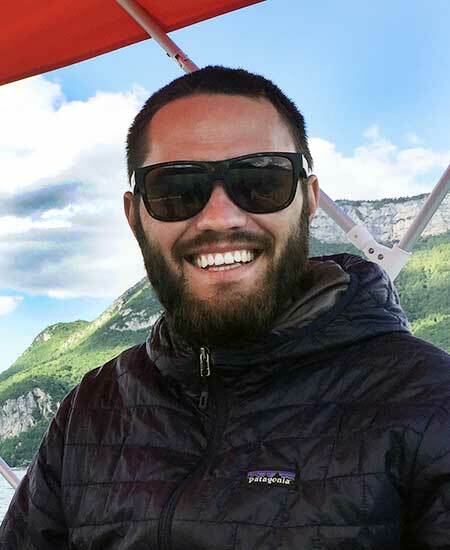 Spending the past 10 years paragliding, Benzie has made it a point to continually learn, and share his knowledge with others. When he's not outside, you can find him at his day job as a graphic designer. 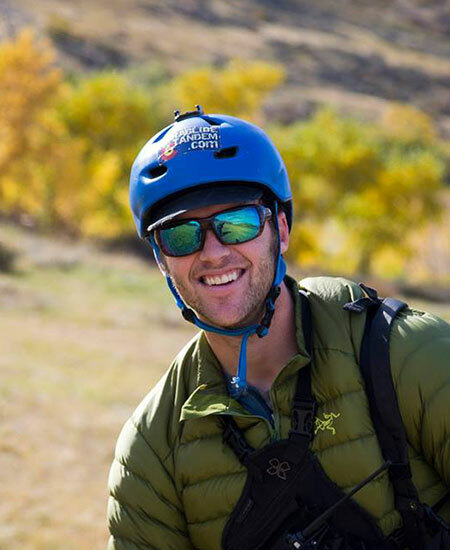 Josh comes from a mountain sports background and is an avid mountaineer, backcountry skier and alpine climber. He started paragliding in 2011 and has since been passionate about the way that paragliding has expanded his alpine world. He has flown paragliders on four continents and in many mountain ranges around the world, most recently the Himalayas.